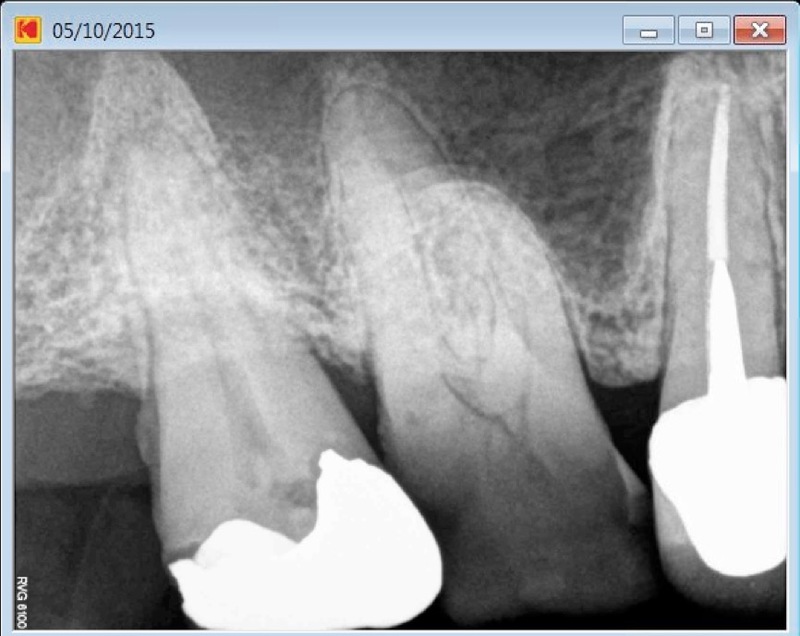 Patient presented with an acute irreversible pulpitis on this first maxillary molar. 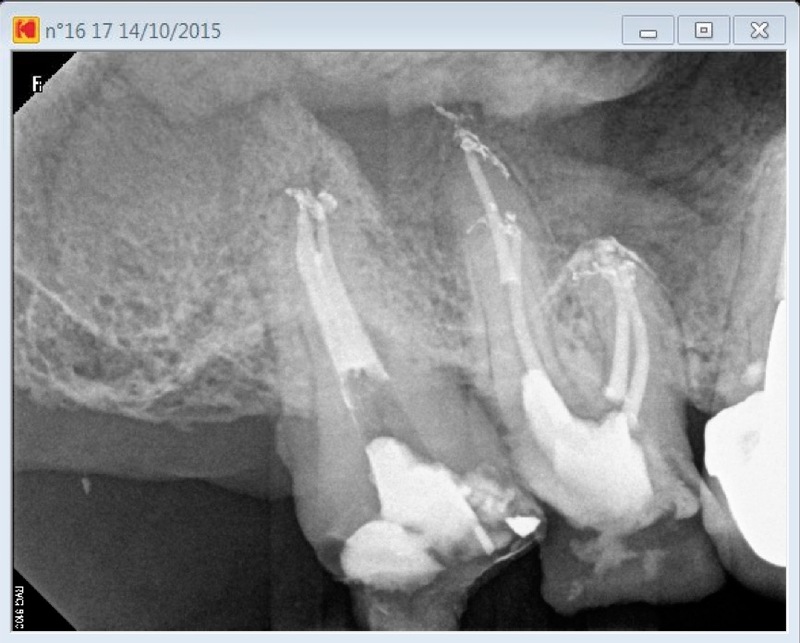 Maxillary first molars do have a fourth hidden canal (Second mesiovestibular or MB2) in 92% of the cases. 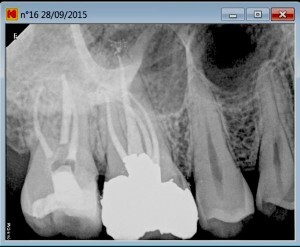 Omitting it may lead to a treatment failure. 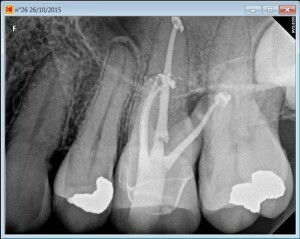 This difficult to locate canal is commonly found with the help of a microscope. 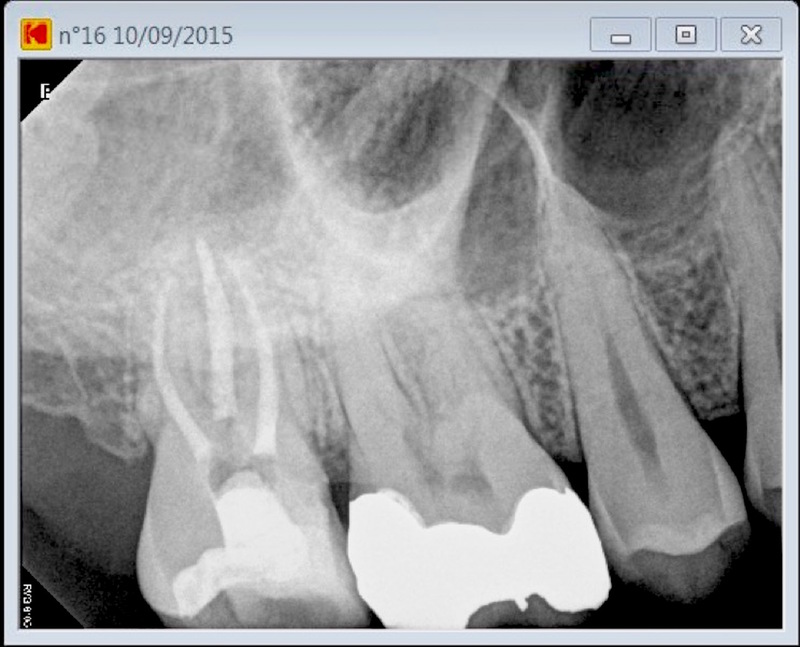 Operative field observation is enhanced with high magnification and coaxial xenon lamp illumination (Carl Zeiss OPMI PROergo dental operative microscope). 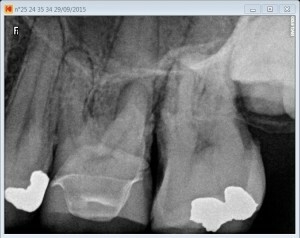 Dystrophic calcifications have been removed from pulp chamber with ultrasonic diamond coated tips to locate MB2 canal entry. 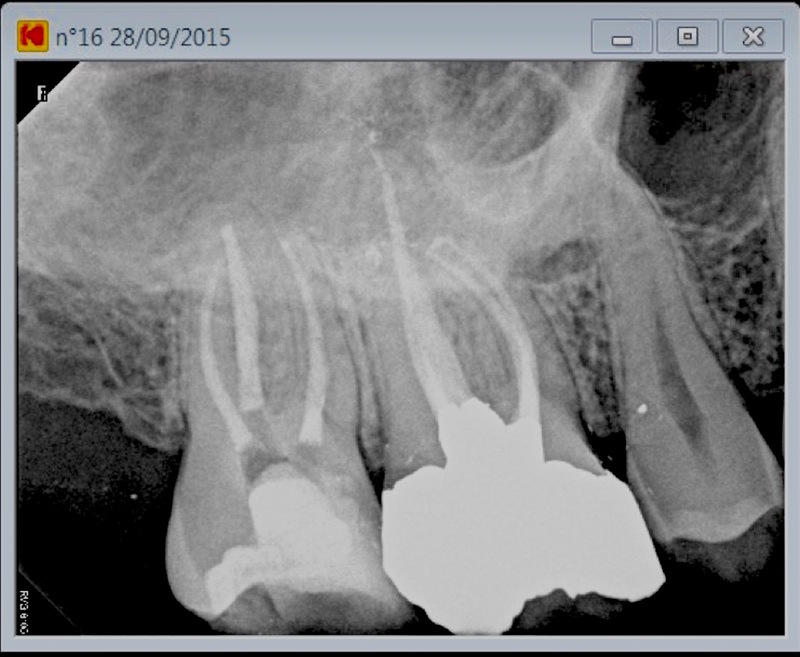 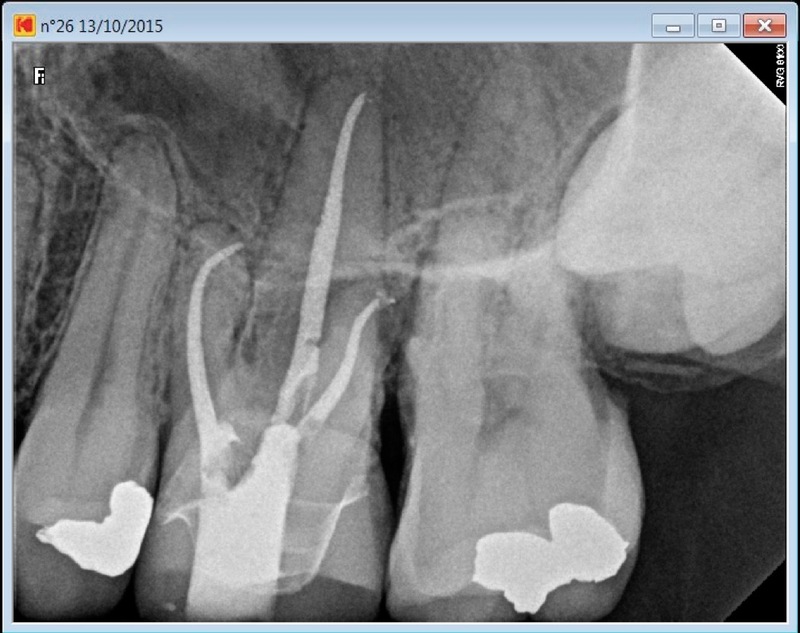 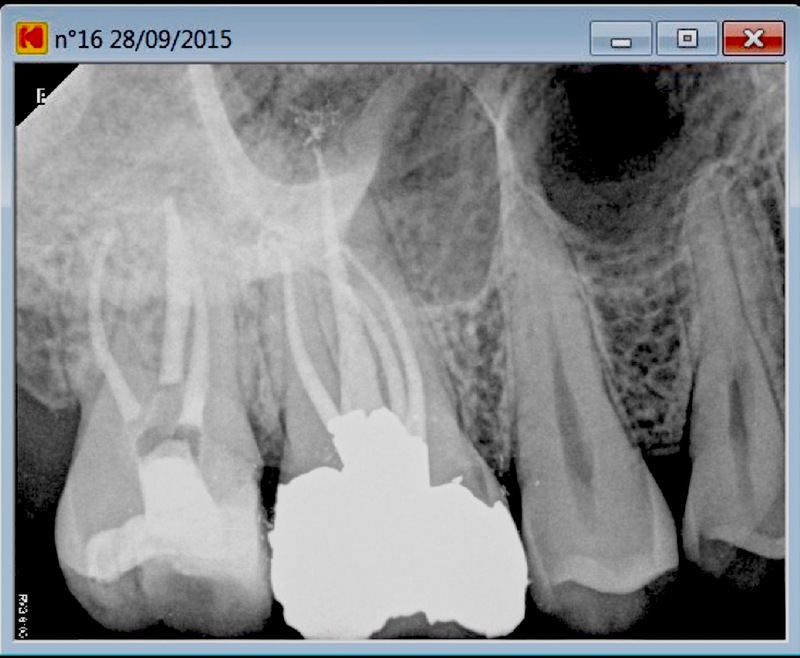 Lots of chelating agent as well as many stainless steel files are needed to progressively regain patency .